Only a 10% deposit is required to secure your position unless the trek date is within 60 days and then the full payment is required. If these pre-organised trek dates may not work, we can arrange a custom date, but it must be for 2 trekkers or more. If the trek date is not guaranteed to depart yet, please do not book flights until we have confirmed the date with a G beside the date. Your funds will be held in our adventure holding account until guaranteed. Peak Potential Adventures is offering you the opportunity to join this exclusive fully supported and professionally guided climb of Kilimanjaro in Tanzania, Africa. Picture this. You’re 5,895 metres high and standing on the ‘Roof of Africa’. You’re just about to take your final steps on to Urahu Peak which is the summit of the world’s highest free-standing mountain — the beautiful majestic Kilimanjaro. As you reach the summit, the memories, the struggles and tribulations of the past seven days’ adventure come flooding back and culminate into one euphoric emotion. At that moment, the feeling of achievement and success in reaching your goal is almost overwhelming… YOU FEEL ALIVE! For the past seven days, you have experienced an array of emotions as you battled and pushed through new personal, physical and mental barriers. Having climbed Kilimanjaro, it is impossible not to be changed by the experience in a positive way – you will go home a new person. On the journey, you uncovered much more about yourself, your personal strengths, and limitations. 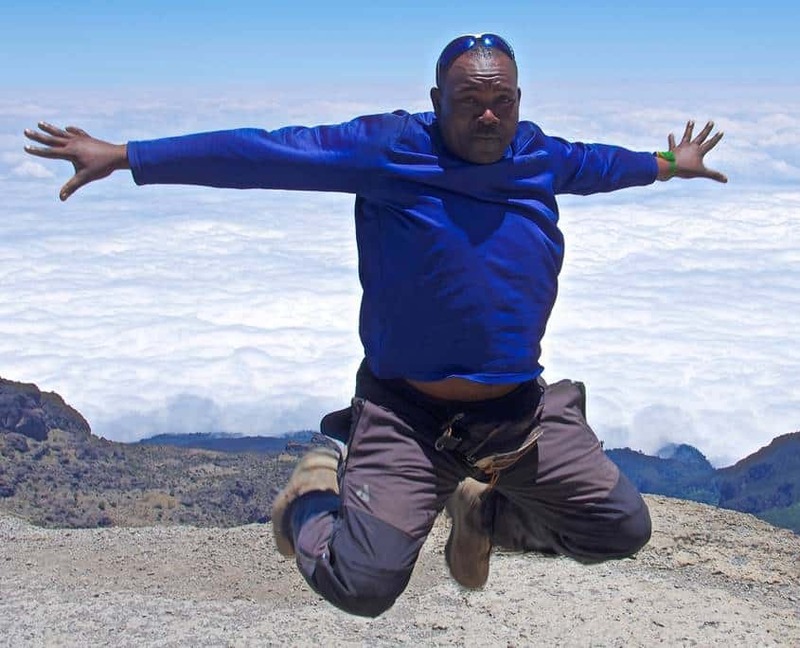 Climbing Kilimanjaro is not just about reaching the summit. It is a journey of self-discovery from the day you make the commitment to do it to the day you return home, the memories and the experience will last a lifetime. Kilimanjaro. The name itself is a mystery wreathed in clouds. It might mean Mountain of Light, Mountain of Greatness or Mountain of Caravans. Or it might not. The local people, the Wachagga, don’t even have a name for the whole massif, only Kipoo (now known as Kibo) for the familiar snowy peak that stands imperious, overseer of the continent, the summit of Africa. Kilimanjaro, by any name, is a metaphor for the compelling beauty of East Africa. When you see it, you understand why. Not only is this the highest peak on the African continent; it is also the tallest free-standing mountain in the world, rising in breathtaking isolation from the surrounding coastal scrubland – elevation around 900 metres – to an imperious 5,895 metres (19,336 feet). Kilimanjaro is one of the world’s most accessible high summits, a beacon for visitors from around the world. Most climbers reach the crater rim with little more than a walking stick, proper clothing and determination. 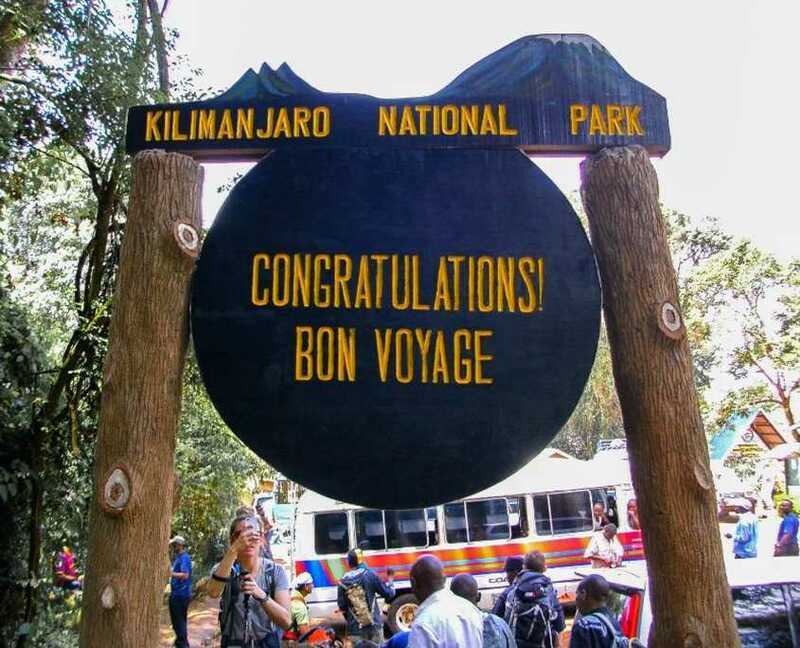 And those who reach Uhuru Point, the actual summit, or Gillman’s Point on the lip of the crater, will have earned their climbing certificates. And their memories. But there is so much more to Kili than her summit. The ascent of the slopes is a virtual climatic world tour, from the tropics to the Arctic. 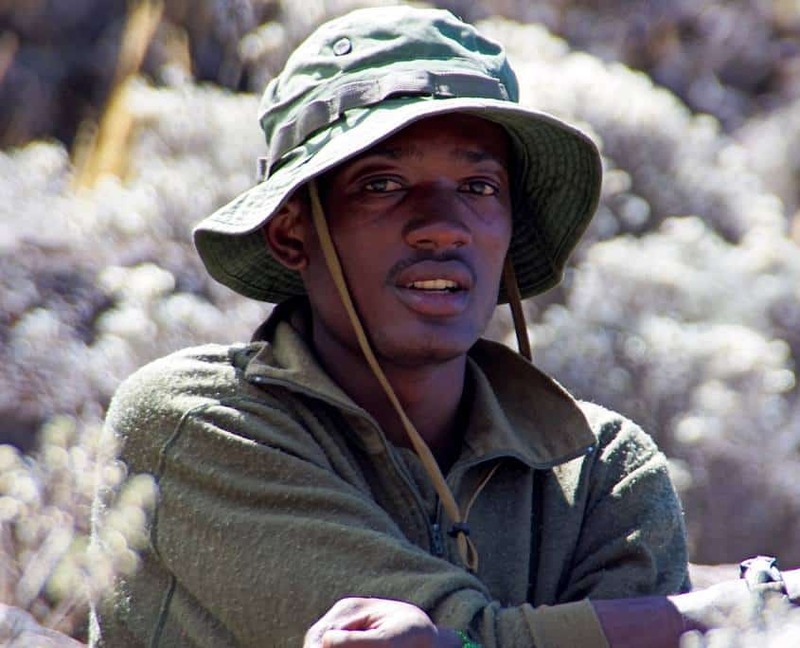 Even before you cross the national park boundary (at the 2,700m contour), the cultivated footslopes give way to lush montane forest, inhabited by elusive elephant, leopard, buffalo, the endangered Abbot’s duiker, and other small antelope and primates. Higher still lies the moorland zone, where a cover of giant heather is studded with otherworldly giant lobelias. Above 4,000m, a surreal alpine desert supports little life other than a few hardy mosses and lichen. Then, finally, the last vestigial vegetation gives way to a winter wonderland of ice and snow – and the magnificent beauty of the roof of the continent. After the climb, organise a local safari and try and spot the ‘African Big 5’ in their natural habitat. No booking fees or credit card fees. On arrival at Kilimanjaro airport, you will be greeted by our team and transferred to your hotel. 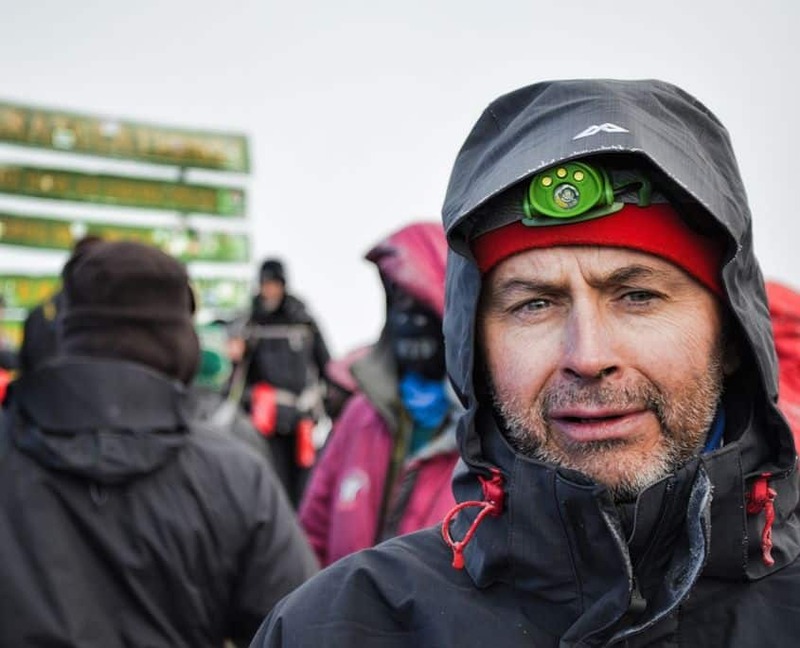 The next morning, you will have an expedition briefing after breakfast and organise your equipment for the climb. You will be able to hire any additional equipment required for the climb at the hotel. Most of Friday will be used to prepare your equipment and get yourselves organised for the climb. Day 3 – Your Adventure Begins. For all our treks, we have decided to take the Machame Route to the summit. 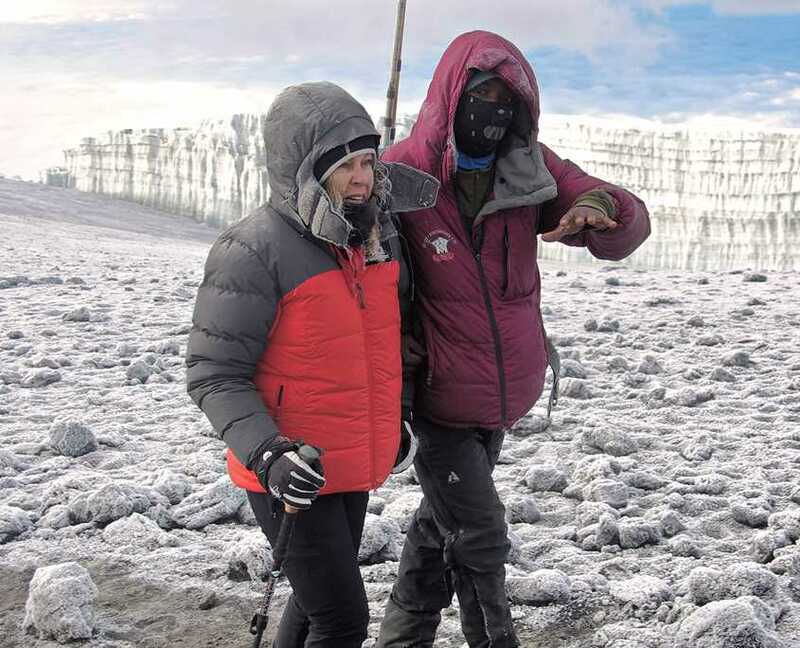 We have chosen the Machame Route for all our treks because from our experience it provides the best acclimatization program of moving high and sleeping low, diversity of scenery and more importantly, gives us options to descend quickly if one of our team members succumbs to altitude sickness. This route is sometimes called the ‘Whisky Route’. This is a popular route up steep paths through magnificent forests to gain a ridge leading through the moorland zones to the Shira Plateau. The track then traverses beneath the glaciated precipices of the Southern Icefields to join up with the Barafu Route to the summit. The Mweka Route is used for the descent from the summit. Your day starts early with a briefing, followed by breakfast and a 50-minute drive from Moshi to the Machame Village (1,490m) where your guides and porters prepare and pack your equipment and supplies. You will receive a lunch pack, and you can also buy drinks in the village. If the road is very muddy, it may be impossible to drive from the village to the Machame Gate, and in this case, it will take us an extra hour to complete the muddy three km walk to the gate. After registering at the park office, you start your ascent and enter the rain forest immediately. Heavy rains on this side of the mountain often transform the trail into a soggy, slippery experience, so good footgear, trekking poles and gaiters are useful. You will enjoy a welcome lunch stop halfway up and we will reach the Machame Camp in the late afternoon. Your porters will arrive at camp before you and will erect your tent before you arrive. In the evening, the porters boil drinking and washing water while the cook prepares your dinner. 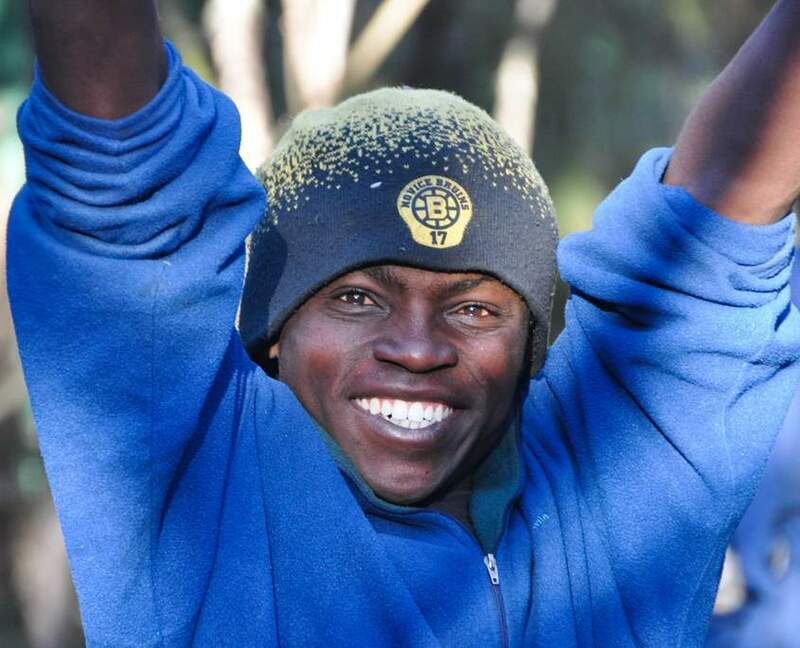 Night time temperatures can drop to freezing at the Machame Camp. You rise early at Machame Camp, and after breakfast, climb for an hour to the top of the forest, then for two hours through gentle moorland. After a short lunch and rest, you continue up a rocky ridge onto the Shira Plateau where you will be able to see Mt Kilimanjaro’s great Western Breach with its stunning glaciers. Sometimes, the walls of the Western Breach are draped with extensive ice curtains. You are now west of Kibo on the opposite side of the mountain from the Marangu Route. After a short hike west, you reach the Shira Camp. The porters will boil drinking and washing water before serving dinner. The night at this exposed camp will be colder, with temperatures dropping below freezing. After breakfast, you will hike east up a steepening path above the highest vegetation toward Mt Kilimanjaro’s looming massif. After several hours, you walk through a rocky landscape to reach the prominent landmark called Lava Tower at 4,630m. This rugged remnant of Mt Kilimanjaro’s earlier volcanic activity is several hundred feet high, and the trail passes right below it. For extra credit, the sure-footed can scramble to the top of the tower. After a lunch stop near Lava Tower, you’ll descend for two hours below the lower cliffs of the Western Breach and Breach Wall to Barranco Camp at 3,950m. There are numerous photo opportunities on this hike, especially if the walls are garlanded with ice. Barranco Camp is in a valley below the Breach and Great Barranco Walls, which should provide you with a memorable sunset while you wait for your dinner. On this day, be careful to notice any signs of altitude sickness. After spending the night camped under the imposing Great Barranco Wall, you climb this awesome natural feature, which turns out to be easier than it looks. Topping out just below the Heim Glacier, you can now appreciate just how beautiful Mt Kilimanjaro really is. Continue along Karanga Valley and you have now completed the South Circuit, which offers views of the summit from many different angles. For now, all eyes are still on the summit. We will be spending the night at the Karanga Valley Camp to acclimatise more, before heading higher up the mountain to camp above 4,000m. When we wake in the morning, we will hike up the ridge for another couple of hours to Barafu Camp where we will rest for the day and most of the night. There is no water at Barafu Camp, even though Barafu is the Swahili word for ‘ice’. The famous snows of Mt Kilimanjaro are far above Barafu Camp near the summit of the mountain. Your tent will be pitched on a narrow stony wind-swept ridge, so make sure that you familiarise yourself with the terrain before dark to avoid any accidents. Prepare your equipment and warm clothing for your summit climb. This should include replacing your headlamp and camera batteries, and to prevent freezing, consider carrying your water in a thermal flask. Go to bed by 7:00 PM and try to get a few hours of precious sleep as the next day will be the biggest day of the adventure. You will rise around 11:30 PM, and after some steaming tea and biscuits, you shuffle off into the night. Your six-hour climb, northwest up through heavy scree between the Rebmann and Ratzel Glaciers to Stella Point on the crater rim, is the most challenging part of the route for most climbers. 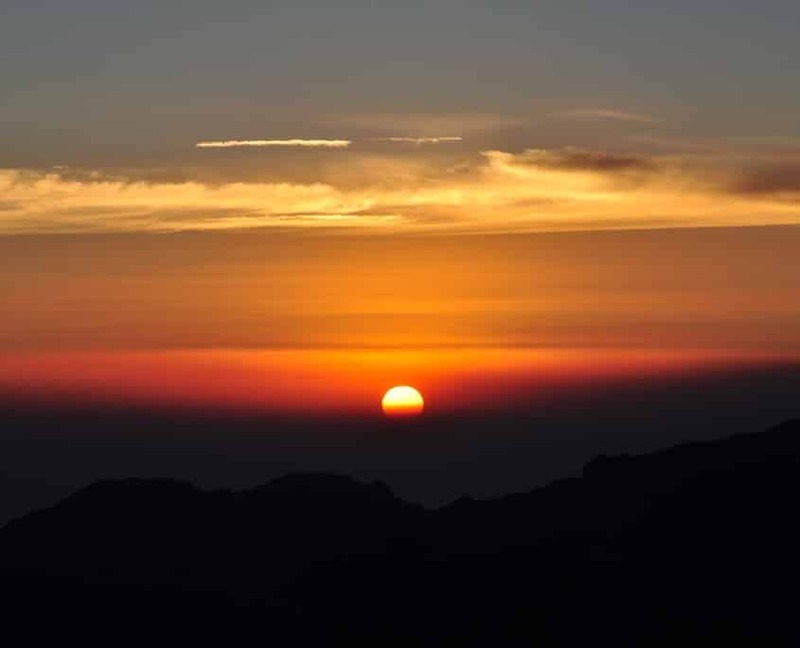 At Stella Point (5,685m) you stop for a short rest and a chance to see a supremely spectacular sunrise. At Stella Point you join the top part of the Marangu Route; but do not stop here too long, as it will be extremely difficult to start again due to the cold and fatigue. Depending on the season and recent storms, you may encounter snow on your remaining hike along the rim to Uhuru Peak. On the summit, you can enjoy your accomplishment and know that you are creating a day that you will remember for the rest of your life. After your three hour descent from the summit back to Barafu Camp, you will have a well-earned but short rest and collect your gear. You then hike down a rock and scree path into the moorland and eventually through the forest to Mweka Camp (3,100m). This camp is in the upper forest, so you can expect mist or rain in the late afternoon. Dinner and washing water will be prepared, and the camp office sells drinking water, soft drinks, chocolates and beer! DAY 9 - MWEKA CAMP TO MWEKA GATE - CONGRATULATIONS!! After a well-deserved early breakfast, it is a short three-hour scenic hike back to the park gate. We strongly recommend you not tip your porters until you and all your gear have reached the gate safely. At Mweka Gate you sign your name and details in a register. This is also where successful climbers receive their summit certificates. Those climbers who reached Uhuru Peak (5,895m) receive gold certificates. From the Mweka Gate, you will continue down into the Mweka Village, normally a muddy 3 km (one hour) hike. In the Mweka Village, you will be served a delicious hot lunch. You now drive back to Moshi for a long overdue hot shower, dinner and celebrations. You stay overnight at the hotel. Today you will book out of your hotel and be driven in the shuttle to Kilimanjaro airport for your return flight home. Some of you may be staying on to participate in a safari and some people may be travelling on to other destinations in Africa or abroad. Welcome home – Share your amazing adventure with your family and friends. Peak Potential Adventures operates small group adventures both in Australia and overseas and was founded by a group of experienced adventurers who have built a solid and well-regarded reputation. Our experience in the outdoors has been built from the ground up over many years. Adaptability, planning, logistics, transparency and professionalism are our strengths and qualities. Meeting your expectations, servicing your needs, keeping your safe and delivering value for money adventure experience are our priorities. Taking on an adventure can sometimes seem a bit daunting, so one of our most important qualities is that we are approachable and always available to answer any questions or provide advice – with us, you’ll always get a personalised level of service. 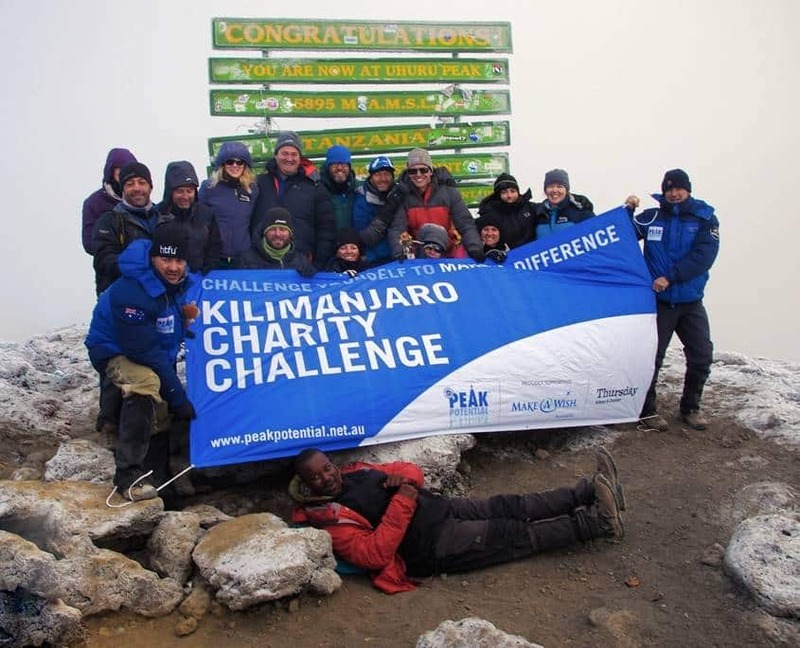 Climbing Kilimanjaro is as much a mental challenge as it is a physical one, and the Peak Potential Adventures Team will be there every step of the way to encourage and support your journey from start to finish. Previously serving with the Australian Regular Army’s elite airborne battalion as paratroopers, the company founders know what it is like to be part of a high-performance team and that cohesive team spirit and effort will give you the great chance of reaching the summit and having an amazing and memorable experience. Only three night’s accommodation is included in the cost of this package on a twin shared basis only (two nights at the start and one night at the end of the trek). If you would like an individual room in Moshi or a single tent on the mountain, please let us know when you book, but there will be an additional cost. Testimonials of others are important when you are considering taking on an adventure either here in Australia or in another part of the world. We pride ourselves on not just ensuring our clients succeed in fulfilling their adventure dreams safely, but we also ensure they have a positive experience from the time they sign up to one of our adventures, to when they arrive home. Please refer to the testimonials page on our website. Fitness Grade: Moderate-High – You should be able to walk at least 11-14 hours with a daypack of up to 10kg. (Weight will depend on your personal gear requirements for the day. Porters will carry up to 15kg of your personal equipment). The Peak Potential Adventures Team will work with you personally to ensure you are fully prepared for the expedition both physical and mentally. With any adventure, preparation is vital for success. Peak Potential Adventures provides an ongoing training and equipment support program during the lead up to the climb. Regular contact and support will be provided through the Peak Potential Facebook page, as well as by email, phone and personally as required. We strongly suggest that you find a local training and trek partner to undertake this challenge with you. This will go a long way in providing vital ongoing motivation for training and support, not just leading up to the climb, but also during the climb. Sticking to a fitness program in the months prior to climbing Mt Kilimanjaro is a vital part of preparation. It is true that attempting to become as fit as possible may not ultimately help with the prevention of acute mountain sickness (AMS), but an increased level of fitness will ensure the body’s ability to cope with the change in atmospheric pressure is amplified, making both acclimatisation and the walking itself far less strenuous. More important than anything else when it comes to climbing, is one’s cardiovascular (CV) fitness. Cardiovascular fitness refers to the fitness level of the most important muscle in the body – the heart. Exercising for between 20 and 40 minutes approximately 4 times a week will significantly increase CV fitness, leading to more efficient oxygen consumption by the tissues of the body. This will result in the more effective use of energy supplies, substantially improving your chances of a successful summit attempt. Activities such as jogging, cycling, swimming and boxing all increase the heart rate and improve your CV fitness. The best option is to attempt to include activities that you enjoy, which will improve the chances of actually continuing with a fitness program. Performing the same exercise every time is not recommended, as sooner or later the body becomes accustomed to the training and is thus no longer challenged by it. Effective methods of training include cross training and interval training. Cross training involves performing at least two different forms of exercise in one session; whilst interval training includes varying your effort level substantially every couple of minutes during a single session. Both of these techniques keep the heart challenged on an ongoing basis, ensuring that your CV fitness is constantly on the increase. The closer it gets to the climb, the longer cardio sessions should last. Ideally, a month before the climb is due to commence, you should be training for around 45 minutes at least three times a week. Closer to the commencement of the expedition, it is advisable to include activities such as steep hill climbing and long hikes to build up your endurance. Any training that is similar to Mt Kilimanjaro experience will be beneficial, even a short hike every second weekend. Purchasing a backpack long in advance and taking it on ‘practice runs’ will help to prepare your body for the conditions it will experience on the mountain. If you cannot get out into the mountains regularly, find a gym that has a summit climber in their equipment line-up. These machines work the climbing muscles that will be used during the climb. Also, as previously mentioned, try and do the climb with a trekking partner. A trek partner is not only a great source of motivation leading up to the climb, but you will be great support for each other on the mountain – making the whole experience more enjoyable. The Peak Potential Adventures Team will be available leading up to the climb to provide training advice and ensure you are physically prepared for the climb. They will also provide valuable advice on your mental preparation and what to expect on the mountain. Mental preparation is vital if you are to succeed, not just on the mountain, but leading up to the climb. If you have extra luggage that you do not wish to take on the mountain with you, it can be left in a locked storage room at the Hotel in Moshi for no charge. Valuables should be left in a safety deposit box at the Hotel. The Peak Potential Adventures Team will discuss with you your equipment requirements to determine your budget and potential future use to decide whether to hire equipment in Moshi or purchase it before the climb. Our team is very familiar and experienced with most of the outdoor equipment brands, their performance suitability and where you can obtain the best pricing deals. In the daypack, take along water, sunglasses, camera, waterproof jacket and trousers at a minimum. Add any other items you might need during the day because you may not see the porters and the rest of your gear until the end of your trek for that day. Also, carry with you snacks like energy bars etc. Note: The most convenient system for expedition travel is to take a 120-litre collapsible duffel bag, 120-litre durable expedition duffel bag and a collapsible day pack. If you have a current large backpack around 75-80 litres, that will also work, or feel free to purchase a backpack if you think you will use a large backpack for future adventures. Large backpacks generally cost more than a large duffel bag and can be harder to pack on the mountain. If you are planning to take a large backpack, also purchase a large collapsible 120-litre duffel. When you travel, put the large pack inside the collapsible duffel bag with any other items that can be stored in the undercarriage of the aeroplane, and board with your daypack with any valuables like cameras, computers etc. You can then leave the duffel bag at the hotel with any gear in it that you do not wish to take on the mountain. A 120-litre collapsible duffel can be purchased at many of the adventure shops or on eBay. Please also make sure the duffel bag can be locked with a combination lock. Please contact us if you’d like to discuss. You want your inner layer to be wicking material—not cotton. Next layer should be insulating and warm like fleece, and the top layer should be waterproof but breathable like Gortex or Event. You can get away with cheaper non-breathable wet weather gear. You will need clothes for hiking during the day, lounging in the evening, and for sleeping. Layers are important as temperatures vary greatly on the mountain. Kilimanjaro may be on the equator, but it gets cold up there! Please be sure to break in your boots before the climb! Trekking boots for hiking during the day, preferably warm, waterproof, and with ankle-support – not too light and not too heavy. Leather or a composite boot is perfect. Have a look at Asolo and Salmon boots. Note: Boots are a personal preference but have a look at Asolo and Salomon brands. Make sure they are not too tight at the front; give yourself plenty of room for coming down without hitting your toe on the front of the boot. If you have problems with your feet like blisters, we would suggest trying on the Salomon mid-high ULTRA 3 GTX and QUEST 4D GTX . They are a bit more like a runner, so they may be more comfortable. If you decide to go with the Salomon ULTRA 3 GTX, please make sure you use some thicker summit socks, as the boots are a bit lighter, so a thicker summit sock will ensure that your feet stay warm. To prevent water from freezing on summit day, keep your water source inside your jacket. For Camelbacks, blow air back into the bladder after each sip and drink often. Small bottles of hand sanitiser. One of the senior guides will be carrying a large first aid kit for the group that will contain all of this medical equipment, but we would highly recommend that you carry a small personal first aid kit that contains these basic items. Note: Please try to conserve your sugar-based foods for higher up the mountain. You will find, as you gain altitude, your appetite may decrease, particularly on summit night, so having a good supply of energy bars, muesli bars, breakfast bars and energy gels will get keep your body fueled on the summit push. Having easy to manage and easy to get to food will make it much easier for consumption, particularly if it is bad weather and very cold. It is important to consume regularly on your summit push, as you will be burning energy very quickly keeping warm and climbing. Many people fail to reach the summit due to poor food and water management. Note: Please feel free to contact the Peak Potential Adventures team to discuss any equipment that you may be looking at purchasing to ensure that it will be suitable on the mountain. To make it easier, please email through a link to the item so we can assess the technical aspects of the item. The two main pieces of equipment that we put most emphasis on to ensure a comfortable climb are, outer down jacket and boots. You’ll be emailed an equipment list after you’ve booked. We will then contact you to discuss with you personally your equipment requirements and your budget. Our Australia adventure operations meet the highest professional standards and accreditations which also applies to our international adventure operations. If you have any further questions or would like more information about our Kilimanjaro trek. You can also get in contact with us on our Facebook and Instragram feeds. Alternatively, please click here to go through to our contact page. Please ensure that you read our booking terms and conditions below. If there’s a question that we haven’t covered for you, we are just an email or phone call away. How often do you run the trek? At this stage, we only operate 4 treks a year. This allows us to ensure proper training and preparation is undertaken to ensure a successful outcome. We pride ourselves on delivering on our service because it is a big investment for you, so we want you to succeed. And for us, it's all about quality, not quantity. Please also check our Facebook and Instagram feeds because we also announce new trek dates there as well. What if the fixed dates don't work, can you organise a group custom trek? Yes, if the dates that we have organised don't work, we can organise a custom date that would suit. We would recommend this option for groups only. What is the best time of year to climb Kilimanjaro? 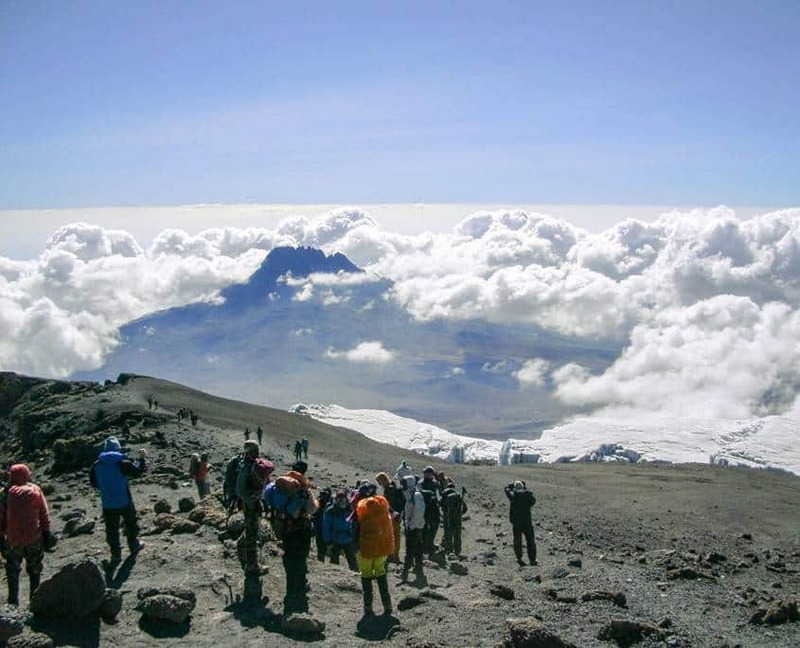 There are two distinct trekking seasons which constitute the best time to climb Kilimanjaro. They are January-March and June-October. January-March is generally colder than June-October and there is a higher probability of encountering snow on the summit. How hard is the actual climb? With the right preparation, guides and support team, the climb is very achievable. 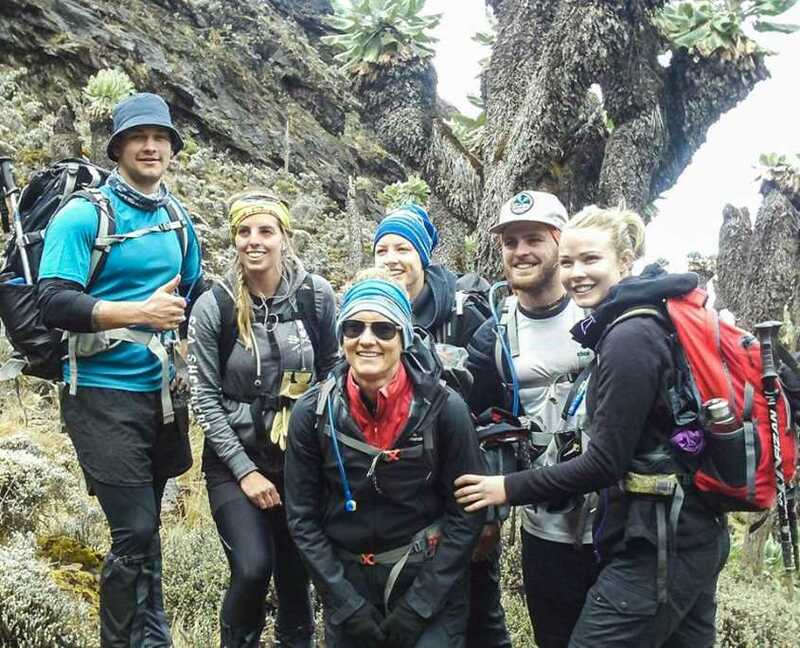 We choose the Machame Route over a 7 day and 6 night itinerary because we feel that gives our team the best chance of summit success through acclimatization. Big adventure achievements will never come easy, so there will be some challenges. We put a lot of emphasis on pre-training so the climb will be much easier. Most of the people that you speak to that didn't summit have a common theme, they lacked preparation, were poorly guided and there was limited to no teamwork on the mountain. Why do you choose the Machame Route? 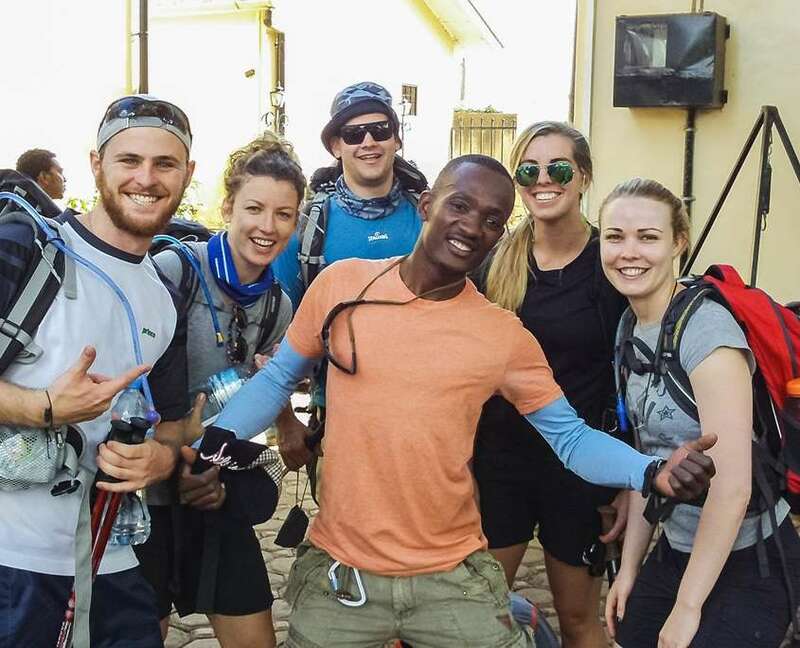 We choose the Machame Route for all our treks because from our experience it provides the best acclimatization program of moving high and sleeping low, diversity of scenery and more importantly, gives us options to descend quickly if one of our team members succumbs to altitude sickness. Can I stay on after the trek? Yes, you can extend your stay to explore more of Africa or to participate in a safari. These arrangements would need to be made by you and would be at your own cost. We are happy to discuss post climb ideas with you. What is the accommodation like in Moshi? 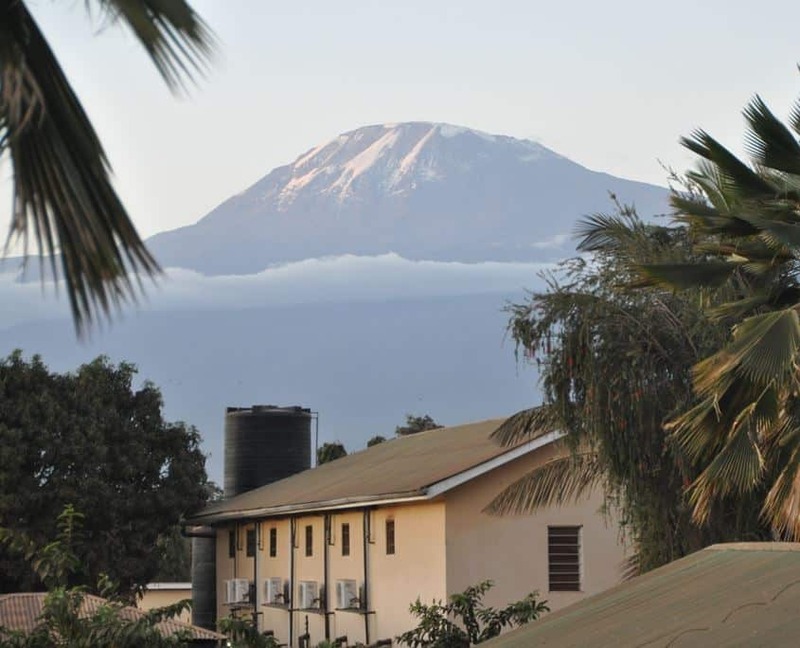 The accommodation in Moshi, Tanzania is a comfortable and clean hotel and will be on a twin share accommodation basis. If you would like to book your own room, please let us know when you book, but there will be additional costs. If the group size is an odd number, there will be no additional cost if you end up in your own room. The hotel will have wifi and has excellent security. What is the accommodation like in on the Mountain? The accommodation on the mountain is expedition style camping in tents on a twin share basis. If you would like to book your own tent, please let us know when you book, but there will be additional costs. If the group size is an odd number, there will be no additional cost if you end up in your own tent. What type of food do we eat in Moshi? There will be plenty of food on the trek. At the hotel, a buffet breakfast, lunch and dinner is served each day. You also have the option to go into the town of Moshi and eat at any of the takeaway establishments. We would highly recommend though that you try and keep your diet fairly staple to avoid and potential pre-trek sickness. You are advised to either drink bottled water or treat your drinking water with purification tablets. What type of food do we eat on the mountain? On each trek, there will be a designated head and assistant cook that will prepare your meals each day. The food will vary depending a bit depending on the season, but it will be high in carbs and protein and will be prepared from local fresh produce to ensure you maintain your energy levels. We do suggest perhaps taking some favourite breakfast type cereal like oats and snacks. We would also suggest taking your prefered coffee sachets. What facilities are at there in Moshi? Moshi is a large town for the area, so there are facilities like banking, general grocery stores, restaurants etc. You can purchase trekking equipment, but we would highly recommend that your sort all that in Australia. Why use Peak Potential Adventures? Our guides and the way we run our trek are second to none. 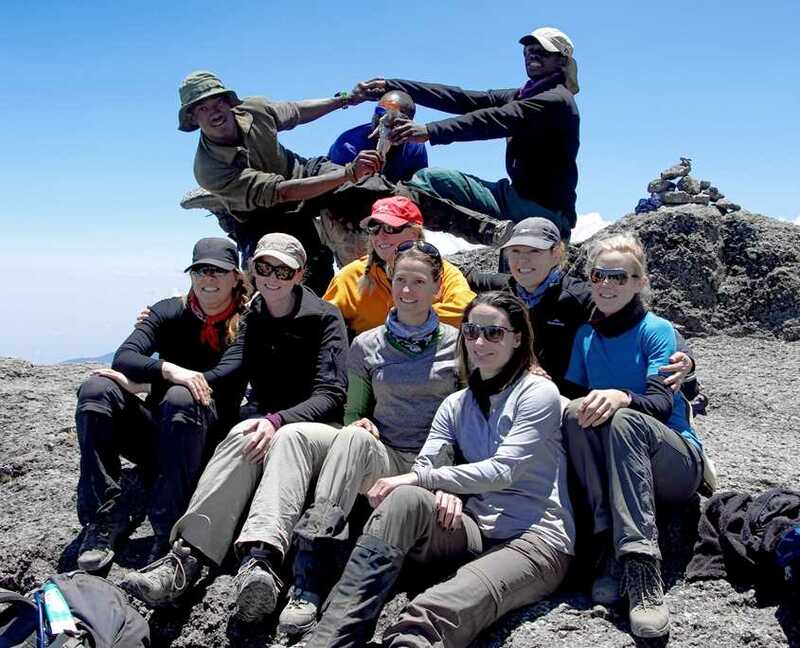 You will only get very experienced guides on our treks that you can trust. We pride ourselves on ensuring that everyone has a positive, rewarding and safe experience. We leave nothing to chance in our preparation and are always thinking about our client's safety and enjoyment during the trek. Do you offer a trek option with Australian guides? Yes, we can organise a trek with Australian guides, but the cost of the trek would increase because costs would need to cover guides and their travel and land costs etc. We believe that Australian guides are not necessary for our treks because our local team is highly experienced and we have worked for them for over 10 years now. Having Australian guides also means you need a set number of clients to start each trek. With our dates, they will be guaranteed to start no matter what the number is as there is really no minimum. Obviously, it would be a better experience with team members, but 2 trekkers could make a team if required. How many people could be on this trek? This trek is limited to a maximum of 12 people. Because of insurance and liability reasons, the minimum age for this trek is 18. How fit do I need to be and can I get fit? Kilimanjaro can be climbed by anyone who is relatively fit and those who are willing to get fit. A significant advantage in undertaking this challenge with Peak Potential Adventures is that our team are also qualified Personal Trainers. We have had significant experience in high altitude fitness preparation, so we will provide you with ongoing personalised advice and support on your training and fitness requirements to ensure you are ready. 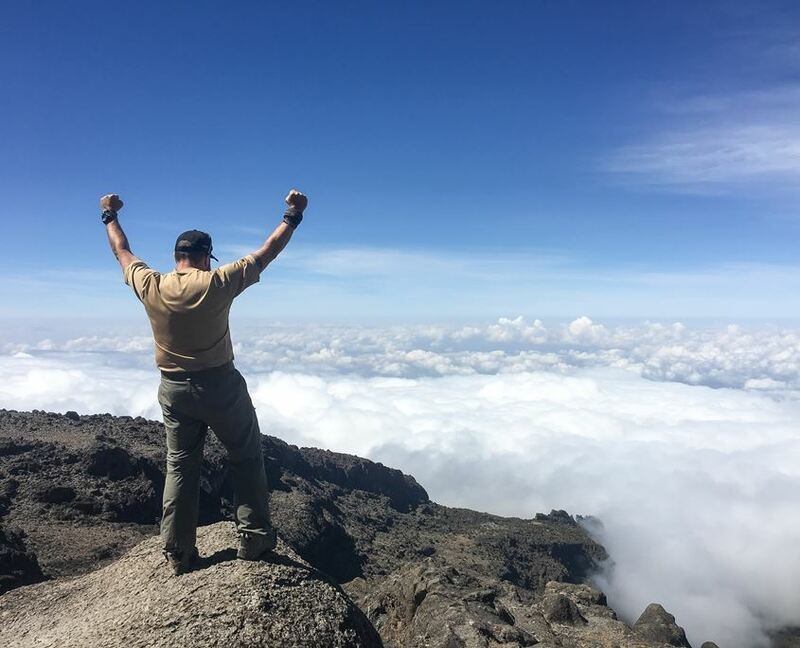 Also, climbing Kilimanjaro is not all about fitness, it's as much a mental challenge, which we will prepare you for through our extensive adventure experience and qualifications in personal training. We offer booking discounts for our Six Foot Track trek if you'd like to come on a weekend adventure to measure your current fitness and endurance levels. After you have booked, you will also be emailed an equipment list. An equipment list can also be found on the Kilimanjaro information page under the 'other information section'. You can also download a copy of the equipment list here. Once you have a copy of the list, we will then discuss with you your equipment requirements and budget. Some equipment can be hired in Moshi, so we will also discuss the option of hiring equipment with you. What vaccinations should I have? We highly recommend that you speak to your doctor. You can also read up on what current vaccinations may be required on the Travel Doctor website which you can access via this link. Can I trek safely if I have allergies or a medical condition? It all depends on the allergy or the medical condition, but we would strongly suggest that you speak to your doctor first before making a booking. If it is a food allergy, that will be no problem because that can be catered for by the head and assistant cook. Please just let us know on the adventure booking form so we can inform our team of what you can't eat. How much is the trek? How much could I expect to pay for flights? Flights can range for economy up to AU$3,000.00 depending on who you fly with. The main carriers are Qatar Airways &, Ethiad who have the best flights with limited stops as well as fares. We would recommend either of these airlines, but there are some other potential options available. Can I pay a deposit and pay the rest before departure? Yes, we only require a 20% deposit to secure your position on the trek if the trek is more than 60 days out with the full balance payable 60 days before departure. If the trek is departing within 60 days, full payment will be required when you book. What happens to my payment? When you book an adventure with us, your funds go into an adventure holding bank account until such time the adventure is definitely guaranteed to start. If an adventure does not go ahead for some reason like bad weather, or not enough participants, we will refund you in full. Please also read our full booking terms and conditions. We have a policy that US$350.00 is the required tipping amount. You will receive the highest commitment and service from your guides, and they are highly experienced, so this is actually a reasonable gesture of thanks for going above and beyond for you. Our guides are some of the most experienced on the mountain, and in our experience, you will only get what you pay for. Do I need to obtain a visa for entry into Tanzania? Yes, you will need to obtain a visa which we will help you with. The fee for the visa is $95.00. A visa should only be applied for leading into the trek as they only last for 3 months. Your passport should also not have less than 6 months to expiry. What currency should I take with me? The official currency of Tanzania is the Shilling. Smaller amounts of money are usually paid in Shilling, whereas larger amounts of money are paid in US$. Money can be exchanged at the Bureaux de Change which can be found in Moshi and in Kilimanjaro airport. Make sure that they change your money at the rate which is written in front of the bureau. Only hotels, restaurants and tourist shops of higher category accept international credit cards; when paying small amounts in US$ rather than Shilling, in most cases you get a worse exchange rate. Local shops accept Shillings only. Why is your price is a bit more expensive than other operators? We are not a large scale online travel agent that will just take your money, treat you as a booking number and provide you with an email with information and expect you to just show up. From the time you book with us, we will provide you with one on one personalised service and provide advice and assist with your travel arrangements, visas applications, and most importantly, your fitness training and equipment requirements. 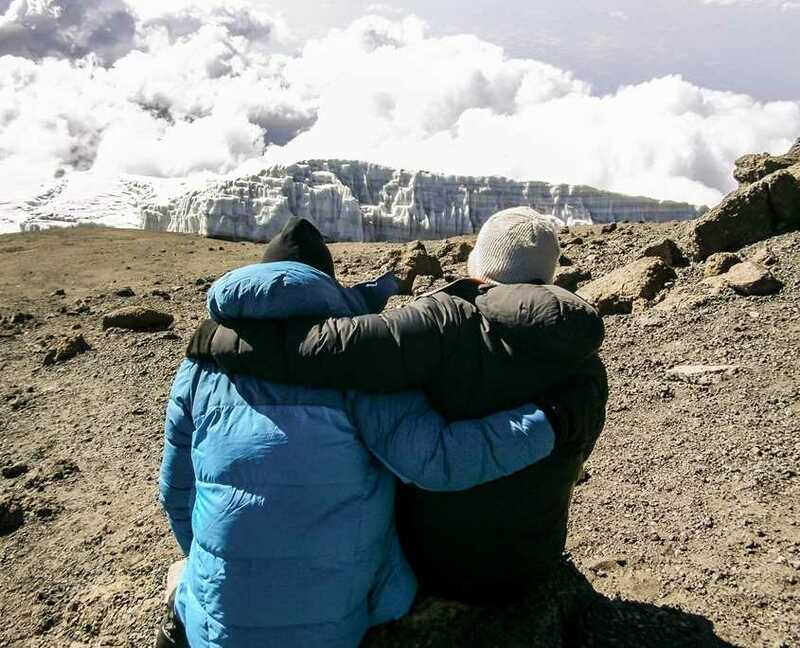 We understand why and how people could potentially fail to summit Kilimanjaro, so we will eliminate these risks as much as possible so that you are rewarded with the amazing summit experience that you committed to and paid for. If you cannot participate in the trek for which you have paid, you will receive a credit for 12 months to join another Kilimanjaro trek over that period. Please read our booking terms and conditions for specific policy details. Do I need travel insurance to climb Kilimanjaro? Yes, it is a requirement to take out travel insurance with Cover-More Insurance with our Kilimanjaro climbs. We always ensure all our team members have the same travel insurance, just in case of some unforeseen reason we need to coordinate a full team evacuation not just off the mountains, but out of Tanzania. You can read more about Cover-More insurance here and also get a quote. We firmly believe through our past experience that they are the best in the industry and will be there if you or we need them. Will I get access to photos & media content? Yes, any photos that are taken by the Peak Potential Adventures team during the trek will be shared with you via Dropbox. This is a free file/folder sharing service up to 2GB which is usually enough space for any photos that we have taken during the trek. If the photo folder is more than 2GB, we will reduce the quality of the photos. The quality will still be more than enough to share on social media etc. If you don't already have a Dropbox account, please click here to go through to their signup page. We would recommend using the same email address to signup that you used on the trek booking form because we will generally use that email address when we share the photo folder. Once you have shared access to the photo folder, you will be able to download any photos in that folder. We will usually delete the folder after a month after the trek to free up our available file storage. When people use the cliché “a trip of a lifetime” their absolutely right, and I was able to experience the trip of a lifetime with the ‘A team’. Our motto “Failure is not an option” guided us through some tough times but thankfully it didn’t really need to be said too often. 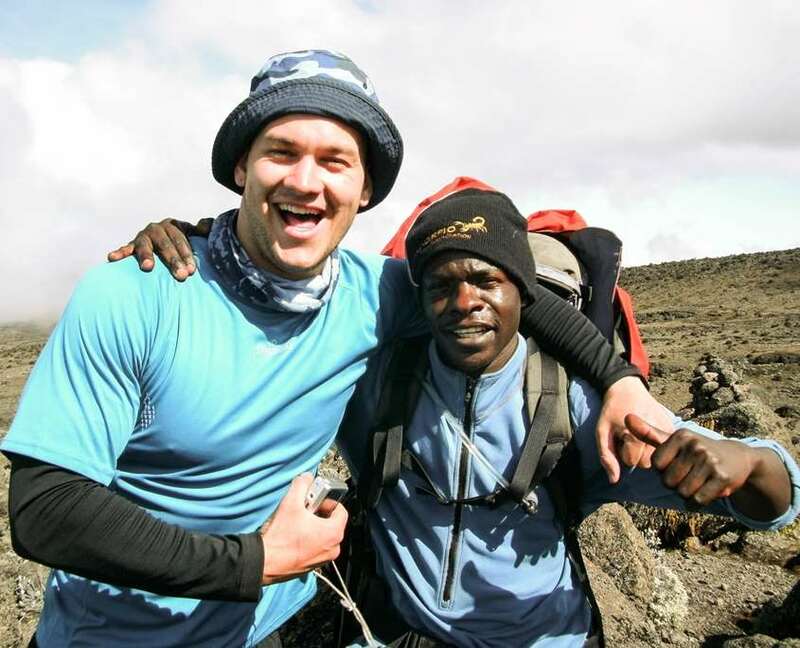 Shane Pophfer and Darren Wise from Peak Potential Adventures gave us an all hands on deck approach before the Mt Kilimanjaro trek and they were just a phone call away when we needed advice. On the mountain, Shane lead the way or yelled encouragement from the back of the pack. Our trip was well organised and I felt spoilt on the mountain, with popcorn and afternoon tea waiting for us when trekking wrapped up each day. And the best surprise was having our very own toilet. It’s all about the simple things. The guys at Peak Potential Adventures really know how to organise a trip, all bases were covered and it was evident on the mountain when comparing ourselves to other teams. I’m proud to say I reached the “Roof of Africa” and Peak Potential Adventures helped me get there. If you are looking to climb Mt Kilimanjaro, I would highly recommend going with Peak Potential Adventures. Only a 10% deposit is required to secure your position unless the trek date is within 60 days and then the full payment is required.